photography. 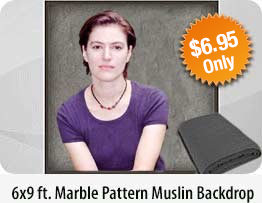 These photo studio backdrops are available in 3 sizes 5x7, 10x12 and 10x20. Photo backdrop is an accessible way to make your photography look more professional for a reasonable price. The high quality Green Muslin photo studio backdrops absorbs light and completely eradicates reflection as it is 100% cotton. It is entirely seamless, pure cotton cloth made from one piece of material. Green Screen Backdrops are lighter in weight, easier to manage, machine washable cloth. The upper edge has got sleeves for a rod to slide in so that you can easily hang the fabric on the stand. 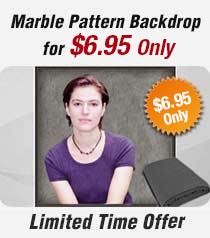 Backdrops for photography are trouble-free to fold.